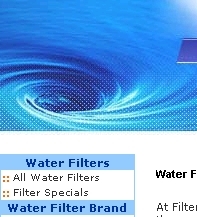 We carry almost every make and model of water filter available at prices well below retail. Our affiliate program pays 10% commission on all sales generated within 30 days of the customer's visit from your link. Our site converts at an amazing 10%.